The Episode starts with Ronak and Sujoy thinking what to do to take the second step. Ronak gets tea for Kajal. She says I don’t like tea, I won’t have it even if you like it, you have to change your habit. Rocky looks at her. Sujoy changes his look and gets coconut water for Muskaan. She thanks him and drinks the water. He gives her a juice. She says I don’t want it. He gives her a little glass. She drinks it. She says juices were nice. He says you don’t seem to be energetic. She says I want ginger tea. Sujoy says I will get it in 5 mins, I will just come. He sees something and pulls Muskaan. They get shocked seeing the stone. He looks out of window. She says maybe someone has joked. He asks are you fine. She says yes. He says then lets keep the mood good, sit here, I will just come. Ronak and Kajal come to cafe. He says this menu is difficult. Kajal asks waiter to get one glass of every juice. Waiter gets it. Ronak gets up. She asks what happened, be ready, your juice tasting session will start, try it. He doesn’t like the juices and says I will get habitual. She takes their selfie. Sujoy gets tea for Muskaan. They drink the tea. He smiles I have got real joy seeing your smile. Ronak goes to meet Hanumant. Hanumant gives him tea and mentions Muskaan. Ronak angrily leaves. 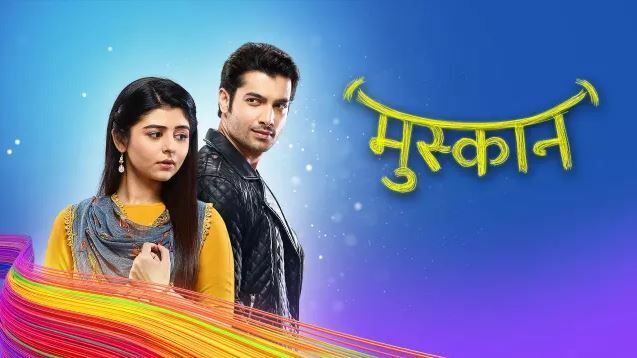 Hanumant asks what has happened to Ronak. Sir ji sings a song. Gayatri says I m very happy. Sir ji asks what is it. She says Ronak is trying to change himself and win Kajal’s heart, I can see it, I m worried if we are forcing him. He asks her not to get tension, change is for the good. She agrees. He thinks Ronak is liking Kajal, they should get married soon. Ronak takes Kajal to a hotel room. He asks her to sleep. He asks her to have a good sleep, he will put DND sign and then come to pick her up in morning. Kajal says I like luxuries, but I won’t get sleep here, I get good sleep in my home, I m missing my room. He asks really. He thinks I did a mistake listening to Hanumanth, I have to think something. Ronak decorates Kajal’s room and surprises her. Muskaan comes to her room and smiles seeing the room well decorated by Sujoy. Kajal says everything is same as my room, I feel its a photocopy, how did you do this. Muskaan asks is this my room. He says no, its room of my best friend Muskaan, who wanted to sleep under the stars, so I have filled this room with stars. Aarti comes and says Sujoy, seems you have got all the stars for Muskaan. He says get a good sleep now, I have some work, then I will also sleep. He goes. Ronak says Lovely made video call to your mum, I have seen your room and did this. Kajal says I will have a good sleep today. He asks her to relax, he will come. Muskaan comes to Sujoy and says I wanted to sleep there, but I can’t disturb mum. Sujoy says then sleep under the sky. He says give me 5 mins, I will just come, you will come when I call you. She smiles. He arranges her bedding and calls her. She runs and sees the decorations on terrace. Someone looks at them. Sujoy says I will just come. Muskaan smiles and sits down watching the stars. Sujoy gets a hot water bag and says this works as heater, keep it with you. Kajal stops Ronak. Sujoy says I will go, take rest. Muskaan stops him. Kajal says you did a lot, let me thank you. Muskaan says I have spent a nice day after many years, I can express my gratitude. She kisses Sujoy’s hand. Kajal thanks and kisses on Ronak’s cheek. Muskaan kisses on Sujoy’s cheek. Ronak sees Kajal. Sujoy sees Muskaan. Ronak helps Kajal exercise. Sujoy and Muskaan jog in the park. Someone takes a knife and goes towards them.